After two and a half years, and a whole heap of acclaim, Britain's best young guitar band are finally ready to unveil their first full-length release. 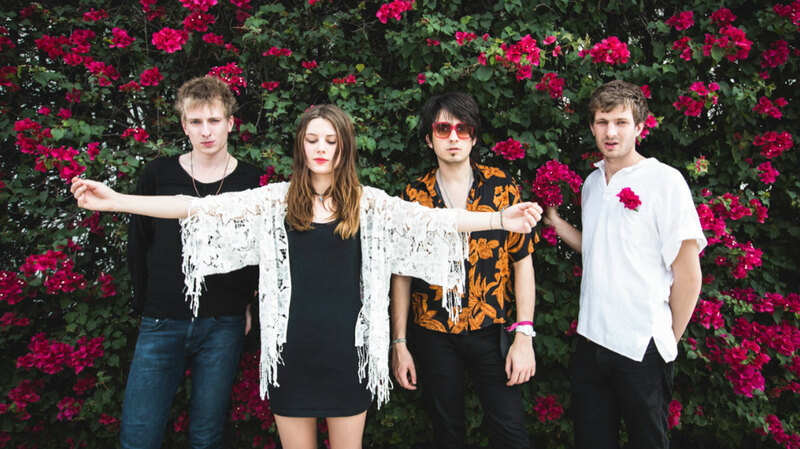 We rang Wolf Alice's lead singer Ellie Rowsell to hear the story behind their brilliant debut album, My Love Is Cool. Hey Ellie, how are you? You’ve recently finished a US tour, right? Yeah, we got back a couple of weeks ago from a month-long tour. It was really good, actually. Every show was exciting, with good crowds. It was probably one of the longest tours we’ve ever done so it was quite difficult at times, but definitely an incredible experience. Probably our show at The Roxy, in LA. We hyped it up in our heads a lot because it’s such a legendary venue and we’d heard so much about it. Also, because it had been sold out for so long. Sometimes with those sorts of shows, you end up a bit underwhelmed because you’ve hyped it up so much, but it really exceeded our expectations. The crowd gave so much to us, and we really lost ourselves in them. I want to get on stage and go crazy. I’m not ready to sit on a stool and sing ballads. Last time we spoke, at SXSW in 2014, you discussed how you didn’t want to “get trapped in the tundra of hype.” How easy has that been? I don’t really know... I mean, I have nothing to it compare it to, you know? I’ve never done anything like this before, and I don’t really know anyone close to me that has. I think the fact that we haven’t changed our creative output, and that we’ve continued to explore and do what we feel is best, means that we haven’t succumbed to the hype. And I guess that’s just down to the fans, who’ve stuck by us even though we’ve taken a little longer than some other people to release a full-length. They continue to come to our shows, and continue to be excited by what we’re doing, so it’s because of them that we’re able to do this and still feel really excited. So, how are you feeling about the release of your debut? I’m really excited. I feel like it will be a step into the next adventure. Once this album’s out, it’ll cement us as a band in the world. When and where was My Love Is Cool recorded? We recorded it in Livingston Studios in Wood Green, North London, in about 30 days before Christmas last year. And the album was produced by Mike Crossey. What attracted you to work with him and how was he to work with? We were recommended him, actually. We’ve only really worked with one other producer so I don’t have much to compare it to. I know that he has a very strong idea of what he wants, but so did we. We were lucky because, once we’d explained what we were doing, we had the same vision. I think we went into the studio with all the ideas behind all the songs pretty much there. He just has so much experience working with guitar bands that he could bring all this knowledge that we perhaps didn’t have. Was there a unifying idea of how you wanted the whole set to sound, or were you tackling each track individually? Yeah, we definitely took each track as it came. I think we were conscious that we didn’t want it to be too sporadic and all over the place; that there had to be some kind of DNA that ran through the whole album and tied everything together. And while we were conscious that that had to happen, we didn’t think about it too much because we wanted each song to be true to itself, and not just write 12 versions of the same song. I think we tried to capture the energy and charm that comes with a live take but do more in terms of instrumentation. When we play live shows, we’re all about being energetic and fun – going a bit wild and crazy – whereas the record is deeper than that. We didn’t want to make it as wild as our live shows, simply because that wouldn’t suit all the songs. Can you explain how the creative process works between the four of you, please? We really take each song as its own entity, and it has its own history and formation. So there’s not one set way of how we work, though I don’t know if that will change over the years as we figure out what works best for us. At the moment, sometimes one of us will have written and recorded a home demo, and the song is pretty much finished, and then in the recording studio we’ll chip in with production work. Sometimes someone will have written a riff and then someone else will write the melody on top of the riff, and then the rest of the band will write their own parts. And sometimes it just starts with us jamming in the rehearsal room. Listening to the album, we’d imagine ‘Giant Peach’ was written around a riff. Yeah. With ‘Giant Peach’, we started with that introduction, used a riff from an old song that hadn’t quite worked out and then Joff [Oddie] jammed his guitar parts around that. That was actually one of the few songs where the lyrics and melody came last. In previous interviews you’ve reference ‘The Virgin Suicides’ as a big influence, lyrically. Were there any other inspirations? 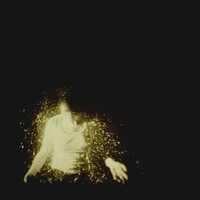 I think most of this album is quite personal, and about growing up, but there were definitely a few outside influences. I had recently read an autobiography of Edie Sedgwick, which spanned from her ancestors to after her death, and that really inspired the track ‘Silk’. She was such a theatrical, special character, so it was fun to imagine what it was like to be her. Her life was so poetic already – and such a tragedy – it was quite easy to put that to music and poetry. Some of the songs are exaggerations of real life things. For example, ‘You’re A Germ’ is a huge exaggeration of something that happened to me when I was 16; a huge exaggeration, almost in parody form. We’re really intrigued by the inspirations behind the closing track, ‘The Wonderwhy’, which begins with the line, “What happens when we die?” Can you tell us more, please? Is there a particular track on the record that you’re gravitating towards at the moment? I like ‘You’re A Germ’ because it’s really fun to play live, and I like that kind of three minute, brash, punky song. But then, equally, I love things like ‘Turn To Dust’, because it’s fun to sing. Is there anything you’ve learned from the process of making this album? So next up is Glastonbury, right? How are you feeling about it in comparison to last year? We’re way more excited this year. Last year, it was the first festival we’d done of that year, and we hadn’t played many big festivals ever, so for that to be our first introduction to festivals was pretty f*cking scary, you know?! I mean, we enjoyed ourselves, but I know I could have enjoyed myself more if I wasn’t so nervous. This time we’ll go there with a bit more confidence. What else is on the horizon, beyond festival season? We’ve got a UK tour in September, and I think we’ll be back in the US in the autumn, and we’re doing some European dates in November. After that, I don’t know! Looking back on your career so far, how do you feel you’ve grown as a unit? I think we used to put out first drafts of songs and now we wait ‘til at least the second or third draft. We’ve all come on really well as musicians too. When we first started, Joel [Amey] had never really played the drums, Theo [Ellis] had never really played bass, and I didn’t even know how to play a guitar with a pick, which says something about how bad I must have been. So I think our songwriting’s changed purely because we know how to play our instruments better. Where would you like to be this time in a year's time with your music? You know what, I’d like to have finished the second album, and I’d like to be getting ready to play bigger slots at festivals – or at least with more people there. And I hope that we’ll be able to play festivals in other countries as well. Finally, if you could offer one piece of advice to bands starting out now, what would it be? I’d say seize every opportunity. Nothing’s uncool when you’re starting off; the only uncool thing to do is not try and not make the most of what’s flying your way. Just work hard and have fun.